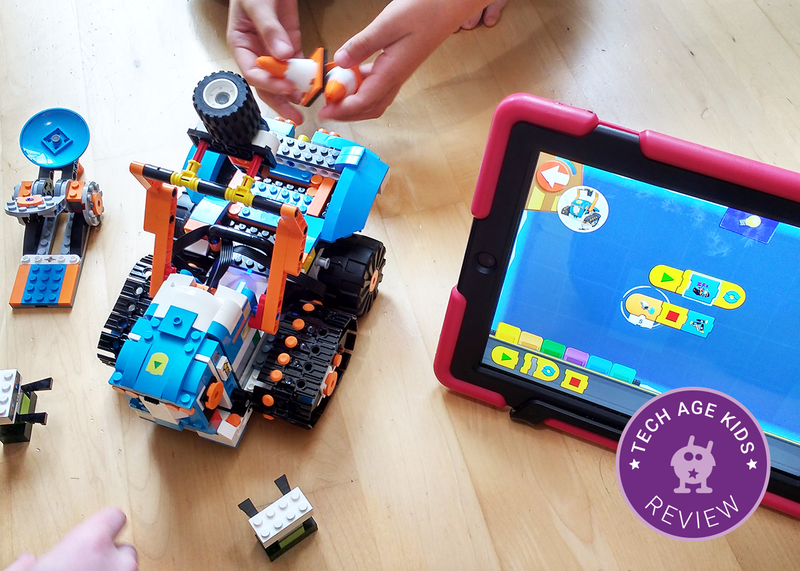 We've had the chance to review the new LEGO Boost robotics kit and try it out with a group of children from age 6 to 10. 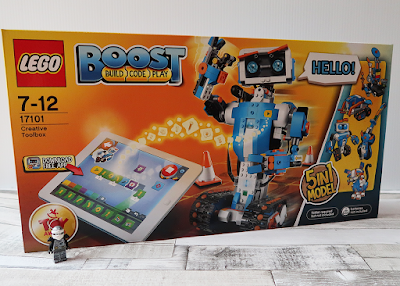 LEGO Boost is new for 2017 and is a long-awaited product. There are lots of other construction-based robotics kits for this age range, but this is a new product for LEGO. LEGO Boost is a robotics kit for kids aged around 7-12. The focus is on building and coding to create models that kids can play with. There's lot more information below, but LEGO Boost is fantastic. It's very well thought through. The models are excellent. The learning is nicely paced. The coding has a purpose so it doesn't feel like work. There's lots of LEGO building so kids need to be able to cope with a big build (or have a willing helper) but it uses regular LEGO bricks with only a few technic parts. 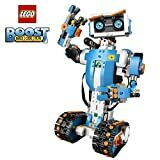 I have a computer science PhD, I have two boys in the age range for LEGO Boost and we have tried lots of other kits. LEGO Boost offers excellent value for money, it's fun and kids will learn a lot too. LEGO Boost comes in a satisfyingly large cardboard box. It contains lots of LEGO, the Move Hub (main unit), a poster and a card insert which acts as a play mat. The box is unsuitable for long-term storage of a kit with lots of bits that aren't all used in a particular model. You're not going to want to get the LEGO Boost kit mixed up with other LEGO as it has lots of really specific parts. We recommend getting a sturdy plastic box to store the kit in from the start. The box does not contain an instruction booklet so you will need load up the app straight away. You might be surprised to find that the only electronic add-ons are one motor and one combined distance and colour sensor. This is because the Move Hub has two motors and a tilt sensors built in. The kit also makes use of the speakers and microphone on the tablet and also allows you to use onscreen buttons and sliders rather than physical inputs. 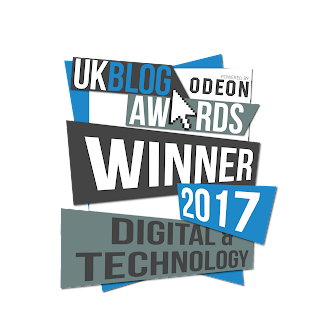 Since the coding takes place on a tablet it makes sense to make use of the tablet for other capabilities. There's also a bullet shooter which is activated mechanically rather than electronically. The result is that you can get a lot of interaction from minimal electronics which helps to keep the price down. When you first start up the app it gets you to put batteries in the Move Hub and turn it on. Ours immediately connected and started a firmware update. This didn't take too long, but it's worth doing in advances, especially if you're buying LEGO Boost as a Christmas gift. Once the firmware has updated you are taken through a simple build that gets kids started and demonstrates that everything is working. Once the simple starter robot is built the tutorial introduces the coding app through step by step activities. We love this! It's always frustrating when it takes hours of building before you can try out a new robotics kit. It's really nice for kids to get immediate feedback and for parents to get reassurance that the electronic parts are all working as they should. My kids used an iPad 4 to connect to the Move Hub, this is a pretty old device now so it's great to see it supported. The app is a bit sluggish when moving between tasks, but other than that it has worked well. You can check the supported devices list to see which iOS and Android devices are supported. 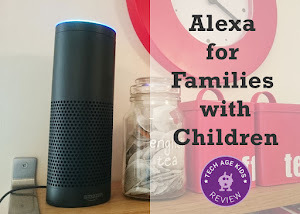 No sign of Amazon Fire tablets yet which is a shame as they are an affordable option for families. After trying out the starter model, kids can choose from 5 different models to build. Each model has detailed instructions in the app. Each build is split into sections. The app doesn't guide you towards any particular project to start with but there is an indication of complexity/time to build. 2-Bricks: Vernie the Robot and M.T.R. All the robots are pretty big complex builds. There's plenty here for serious LEGO builders. You can also create and save custom projects via the 'portal' in the app. There are two models that can be used as the basis for customisation, a walking animal and a vehicle. 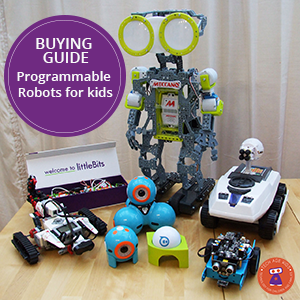 This is a great idea and encourages kids to build and program their own robots. It's also possible to build and code a completely custom robot. Our kids went straight for the M.T.R. vehicle which is a medium difficulty build, but I didn't realise this until later when I had chance to look at the app. There's a lot of building in this kit! Each model has hours of building. The building is split up into sections and you don't have to wait until the end to get coding. There are regular opportunities to write code for the incomplete builds. This is really well thought through. This is probably obvious given that it's LEGO but there is lots of building in the kit. Kids will spend hours building. It won't be the right choice for kids who don't like building with LEGO unless they have a willing sibling or parent helper. 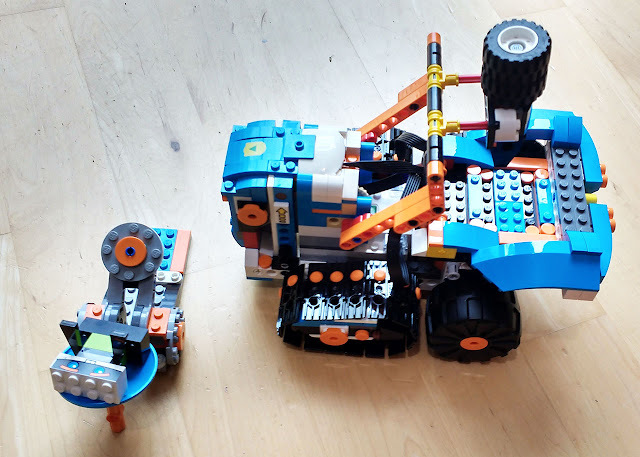 My 9 year old has always persuaded his older brother to build kits, his interest has always been in designing his own builds, they have worked together on LEGO Boost. The builds use mostly regular LEGO pieces, there are a few technic parts but not many, the building is quite different to LEGO Mindstorms. Kids with experience building bigger LEGO sets will be fine. 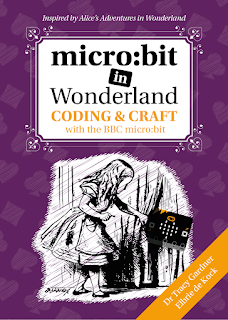 We've used lots of kits where it takes ages to get to the coding part. With LEGO Boost the coding is introduced little and often. The LEGO Boost approach to coding uses brightly coloured drag and drop blocks. Icons are used rather than text. Most kids (at least here in the UK) are competent readers by the age of 7 so I'm not sure this is necessary. It's often more complex to decipher an icon that to just read a text label. It certainly avoid the need for translation though! The drag and drop approach works really well on a tablet and there's lots you can do with the available commands. The commands are very specific to the model you are building and have quite a lot of intelligence built in to them. This means that kids get to the fun bits quicker. Rather than writing tedious low-level code kids can quickly do interesting stuff. I know that there will be detractors who say this "isn't really coding" but they're missing the point. There's no honour in doing lots of boring stuff, there's just as much learning to be had at a higher level of abstraction, and more fun. The lack of description meant it took a bit of time to work out what some of the symbols meant, but the kids figured it out through trial and error. My kids think the coding is easier than the building - if kids can build the models then they won't have any trouble with the coding. There is scope for more experienced coders to go beyond the tutorials. My kids were quickly coding their own ideas. We like the way that the coding is introduced through interactive tutorials built into the instructions. This is a great way to introduce the concepts gradually. My kids (who are experienced coders) love the way that you can create custom blocks with more code inside. It really helps to make the code readable. My 10-year-old did say he would like to see variables and if blocks added so he can do more things. He wanted to create an interactive game. You could argue that this means he's ready to move to Mindstorms (and he's quite comfortable using Mindstorms) but I think kids would get a lot from more advanced coding using LEGO Boost. Maybe we'll see more in the future. There is quite a lot of capability already including being able to generate random numbers within a range. The models are lots of fun. This is exactly how my kids have always wanted to play with their LEGO. We've always done lots of robotics and they have always played with lots of LEGO, but they've not been able to bring robotics into their play. 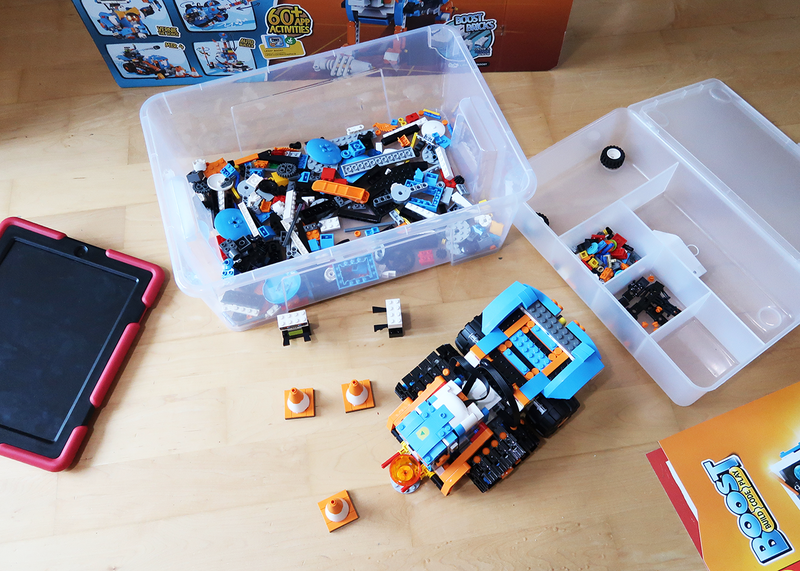 We do have LEGO Mindstorms and my kids really enjoyed building the models and using them, but LEGO Boost has a lighter touch. I don't really want to say that it's for younger kids as my 10-year-old who has been capable of using Mindstorms for some time is still getting a lot from LEGO Boost. But it's definitely more playful. 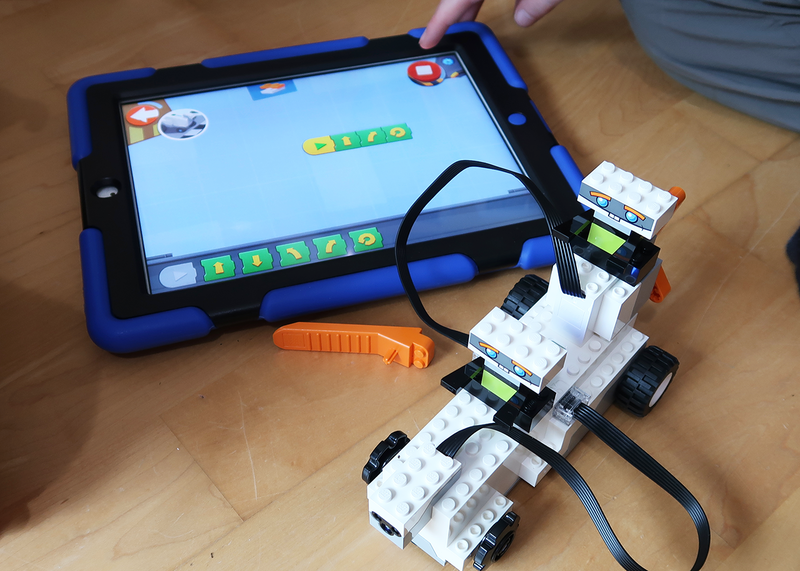 Mindstorms feels like kids learning robotics in a fun way (which is an awesome thing) whereas Boost feels like kids making use of robotics to enhance their play. My 9-year-old is loving the play aspect of LEGO Boost, he loves getting everything set up and then actually playing with it in the way he would with an off-the-shelf interactive toy. Except that he and his brother built this one. We'll update when the kids have had a chance to build more of the models but for now, our experience is with the M.T.R. 4 tracked vehicle. This model is great and has loads of different interactive behaviours which are introduced gradually with small adaptations and/or additional parts to build. LEGO haven't been afraid to use loads of tech in each project. This means that kids will get loads from each of the models in the kit. The vehicle is able to fire darts which never gets old! It also makes use of the distance and colour sensors. My kids adapted the code as they worked through the projects and then created their own programs as they went through. They were able to create and save custom programs using the blocks specific the M.T.R. model which works really well. 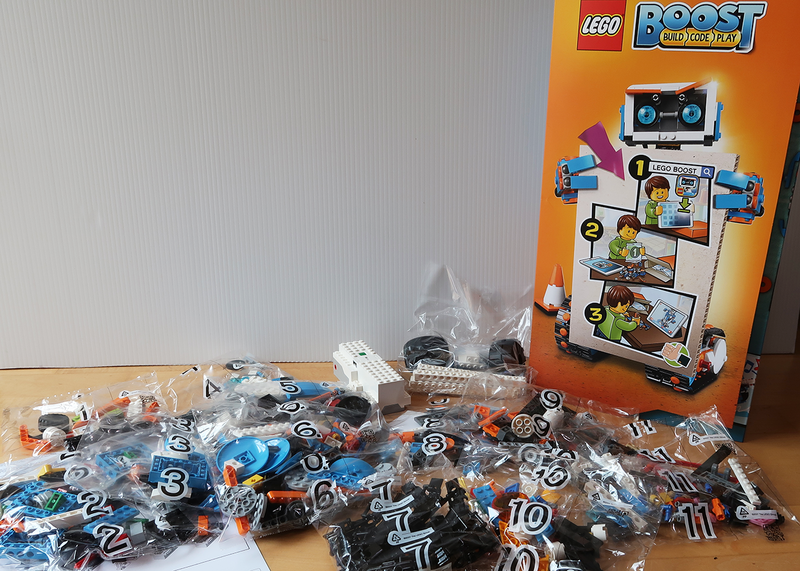 LEGO Boost is recommended for age 7+ but the builds are quite long and make use of some technic parts. We know from experience that many 7-year-olds are quite capable of builds like this, but the kit feels like older kids will get plenty from it. Some younger kids may find the builds quite long and complex while others will be at the peak of their interest in building. This is very child specific. As with LEGO Mindstorms, we'd recommend buying when kids are younger if they are interested and then helping them with the builds. Make sure you plan a good storage solution and then keep bringing the kit back out and they'll get more from it each time. If you buy LEGO Boost for 6/7 year olds they should still be using it in several years time which makes it great value for money. It also makes sense to get the kit for older kids. Either kids who still really enjoy playing with LEGO or kids who have drifted away from it as they've got older. LEGO Boost takes LEGO to the next level. The predominant colour in LEGO Boost is blue. It is an azure blue which is associated with the LEGO Friends range, but here it's paired with orange and the result very much says 'this is for boys' to my eye. In this interview, one of the LEGO Boost designers, Carl Merrium, discusses the colour choice and said that this scheme had the broadest appeal amongst kids. The models themselves are slightly boy-centric. The robot Vernie has a male name. Frankie (the cat) is somewhat neutral, but the designer talks about both models using the masculine pronoun while suggesting that Frankie could be a girl's name. (We've seen the same approach with Marty the walking robot, it could be a girl's name.) Why not just give the cat a female name? There seems to be a fear of scaring off boys. There's very much a boys first approach to most kids robotics and LEGO Boost sadly doesn't seem to be an exception. Interestingly the box is double-sided so there's a side featuring Frankie the cat which I'm guessing is intended to appeal to girls. At least girls feature in the promotional material for most robots these days, but I think we've still got a way to go. LEGO Boost is a fairly expensive kit (RRP $159.99 / £159.99) but you get a lot for your money. Even if you just look at the LEGO and the ability to make 5 awesome models it's not bad. When you add in the Move Hub and additional electronics and the coding capability we think it's well worth the money. But what really makes this kit great value is the tutorial material. This is what will make sure your kids actually play with the kit and have fun and learn useful skills. My kids have said they would love to see themed add-ons for LEGO Boost (like Ninjago or Friends.) They would love this kind of interactivity in their regular LEGO play. More experienced kids will be able to take what they have learned and customise models or even design there own. There's plenty of scope here for learning a lot and even for much older kids to keep making interactive models. Encourage kids to save their favourite model until last. Otherwise they won't want to take the kit apart and try the other models! Alternatively just accept that the other four models won't get built for a while. There's tons of play time in each model. 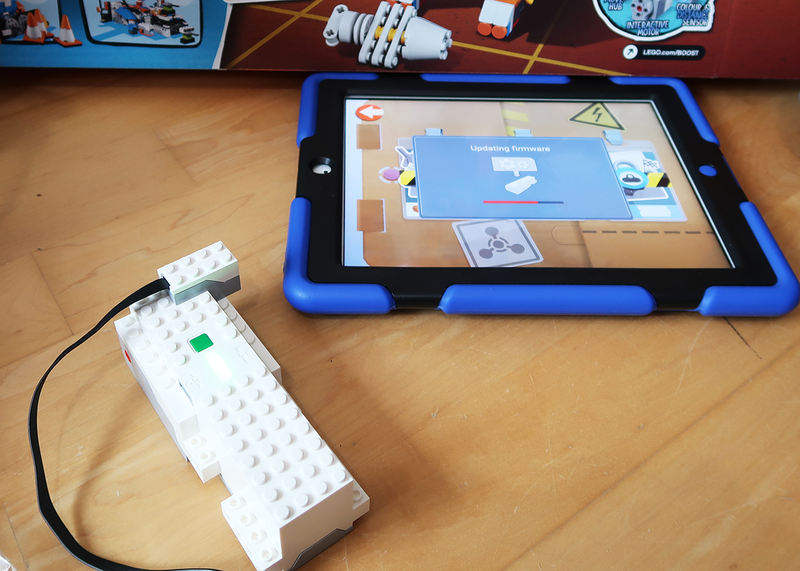 It's like having a new LEGO kit each time, and much more because of the interactivity. There's no off switch on the Move Hub, it just goes to sleep to save the batteries. Get a sturdy plastic storage box to store all the parts it. There are lots of pieces left over after a particular build and you'll really want to keep track of them. LEGO say that you can use rechargeable AAA batteries but they don't recommend it. If you're getting the kit for Christmas we'd recommend having some regular batteries around in case your rechargeables aren't up to the job. UPDATE 2018: LEGO have new sets that are compatible with LEGO Boost. So if you have invested in LEGO Boost and want to add LEGO to the kit take a look at LEGO NINJAGO Stormbringer or LEGO City Artic Scout Truck. Overall LEGO Boost is fantastic. The models are great. We love that the instructions are in the app rather than having a big printed manual to store. Value for money is high with this set. You get lots of LEGO and five complex builds before you even consider the electronics and the coding tutorials. We would have liked a plastic storage box rather than a non-reusable cardboard box. You really need to think in advance about how you'll store the parts. Not all the parts are used in each build and it would be a real shame if any parts got lost (or mixed up with other LEGO) before all the models have been built. It would have been nice to have a bit more variation in the complexity of the builds. Having a simple starter model is great but it's a big jump from there to the five main builds. We'll write more about LEGO Boost when the kids have built more of the models, but for now I can't drag them away from the M.T.R. They're still playing with it and making up new things for it to do.